With the budget imminent today and the entire Treasury praying that this time round will not descend into the ‘omnishambles’ of last year, one central tenet has already been trailed. Parents on joint incomes of up to £300,000 will be eligible for tax-free childcare support worth £1,200 a year. This follows a cut to child benefits and debate is rife over the prioritisation of working mothers over ‘stay at home’ mums. Working will earn you childcare support, but full time parenting will only result in diminished state support. Under the plan parents will be eligible to receive 20% of their yearly childcare costs, up to £6,000 a year. David Cameron, described the plan as "a boost direct to the pockets of hardworking families". Childcare minister Elizabeth Truss said the government was supporting low-income families by making an extra £200m available for the forthcoming universal credit system. She also addressed one of the underlying paradoxes in the welfare and work system "What we are recognising is that there are families that are earning between £20,000 and £40,000 where it simply isn't worth their while going out to work at the moment because of the really expensive costs of childcare. And we want to help those families who work hard and want to get on." 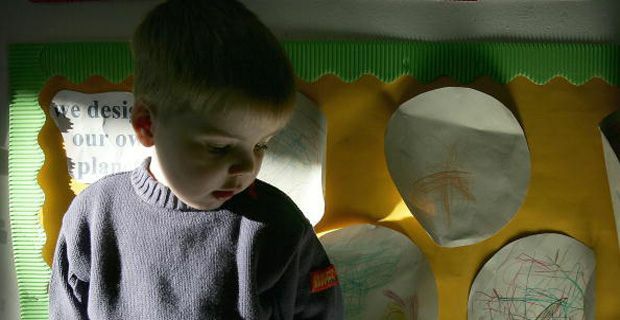 The new scheme (which won’t actually come into force until 2015) – will initially apply to children under the age of five and affect an estimated 1.3 million families. Both parents will have to be in work, with neither earning more than £150,000, to qualify. Truss said only 8% of women earn more than £40,000 but admitted the childcare tax rebate had been capped at £150,000 for a single earner for the sake of simplicity. "This voucher system is much better than its predecessor because every working family can access it – 2.5 million people can get it rather than the 500,000 at the moment. At the moment it is luck of the draw [because many employers do not make use of the scheme]. It's difficult for middle earners and it is right that they receive that support," the minister said. Nick Clegg added : "The rising cost of childcare is one of the biggest challenges parents face and it means many mums and dads simply can't afford to work. This not only hurts them financially, but is bad for the economy too. This announcement of a £1bn investment in childcare will make sure it pays to work. "An extra £1,200 for each child will make a real difference to families who find themselves constantly worrying about how to juggle their family budget. And extending support for working families on Universal Credit will make sure it is worth working extra hours even if you're on low wages."